This is not the actual form, just a picture of it. If you’re new here, you need to register. You only have to do this once. 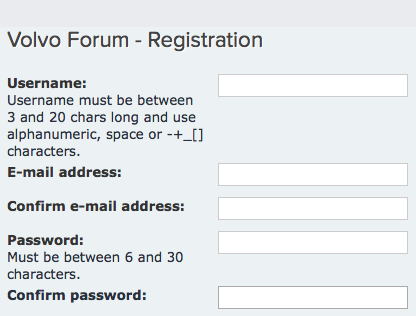 After that, it’s a matter of logging in when you revisit the site, unless you check the checkbox to remember you. So, to register, go to the Register page and follow the steps. It’s very fast. Need to Post? 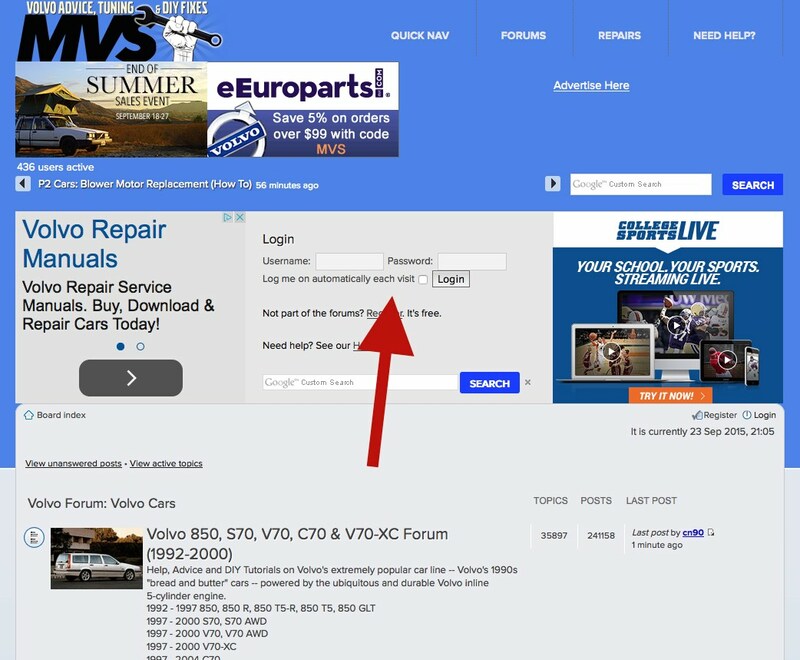 See How to post in the Volvo Forums. Remember to set your preferences on which forums you’d like to watch for activity.